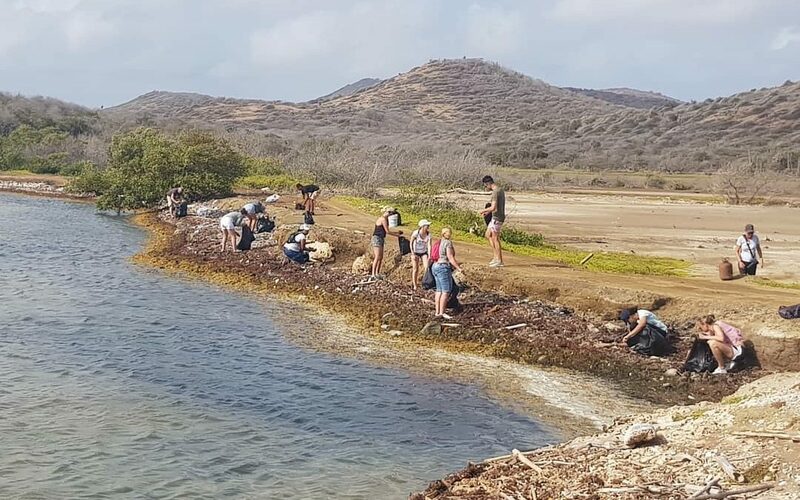 Today, one of our team members represented by PROMAFUN & ARTEMIS ONE HEALTH participated in the fight against plastic pollution in Curacao, Dutch Caribbean. The shoreline cleanup is a weekly event organized by Sea Turtle Conservation Curacao on Mondays, Wednesdays, and Fridays. Together with a group of 13 volunteers including 2 members of present your startup, we were able to collect 1600 gallons of debris from the shorelines of Wacawa. The 1600 gallons of debris will be recycled into awesome merchandise to support the work of Sea Turtle Conservation Curacao.